Join us at NABJ's innovative Media Institute on Education and Health in Washington, D.C., March 29-30. This conference will explore the intersections of health and education for people of color. 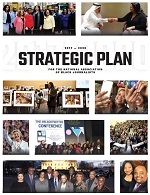 The sessions will offer unique training, entrepreneurial guidance and networking opportunities that maximize the ability of media professionals to teach, compile, disseminate and chronicle information most significant to the black community. Emerge as a leader in education and health storytelling! Welcome and Breakfast (Social Lounge) Opening remarks: Sarah Glover, NABJ President; Drew Berry, NABJ Executive Director; Co-chairs Cheryl Smith and Tanzi West Barbour; LaToya Foster, Director of Communications, Executive Office of Mayor Muriel Bowser, Washington, D.C. According to Planned Parenthood, the Trump Administration’s gag rule could undermine Title X, a federal program dedicated to ensuring that people struggling to make ends meet can still access birth control, STI testing, and breast and cervical cancer screenings, by pushing providers like Planned Parenthood out of the program. Of the four million patients who rely on Title X health centers for essential reproductive health care, 22 percent are black. The gag rule also makes it illegal for health care providers in Title X to refer patients for abortion. This panel will dive deep on the impact the gag rule may have on black communities, how it relates to this country’s history of the medical mistreatment of black people, and how to hold the Trump Administration accountable. (through charter schools). Some may say we are grossly behind in preparing our students for college and/or careers, however, there are some shining stars within the public education ecosystem. This session will introduce you to some of our nation’s key thought leaders in public education and the systems or schools they are leading or have led, successfully. Join us for this creative discussion around the real story of public education. Many talk about decreasing disparities in care, but what would it take to eliminate disparities? Thinking bigger about social determinants of health and emerging technology such as electronic health records, we can proactively care for patients and implement changes across health systems to improve health care. Learn from Kaiser Permanente, DC Government and Henry Health about key initiatives to address the bigger picture of health for individuals and the communities in which they live. The Brown v. the Board of Education case heralded a landmark decision in 1954 for the civil rights movement. However, today, 65 years later, we are faced with scandal after scandal affecting the myriad of education systems across the country. The moderator and panelists in this discussion know this topic well; so, let’s talk about it. When will enough be enough? While much has been done to improve infant mortality, maternal mortality has gone unnoticed until recently. Yet, we lose more than 700 women in the U.S. each year from pregnancy or childbirth-related causes. Black women have three times as high a mortality rate as white women during pregnancy or childbirth. This panel will shed light on the untold story of black maternal mortality, its root causes, and what can be done to improve outcomes. Hear from families who have lived it as well as the experts who are fighting to shift the paradigm for black women. Panelists: Lisa Waddell, M.D., Senior Vice President for Maternal Child Health and NICU Innovation and the Deputy Medical Officer for March of Dimes; Linda Goler Blount, MPH, President & CEO, Black Women's Health Imperative; Carly Sandy, M.D., FACOG, Obstetrics and Gynecology Service Chief for the District of Columbia and Suburban Maryland, Mid-Atlantic Permanente Medical Group, P.C. There is a movement in this country to effectively and permanently close the achievement gap that exists before the main and subgroups of students. This discussion will unpack the true impact of having an achievement gap, provide stories of innovative approaches that are being done to eradicate this reality, and provide answers to questions around what role do we all play in ensuring our children are achieving at mastery levels? An estimated 5.7 million people in the U.S. have Alzheimer’s or another form of dementia. By 2050, the number of people living with Alzheimer’s is expected to rise to nearly 14 million. Alzheimer’s is the sixth-leading cause of death in the U.S. for African Americans, the prognosis is even more shocking. African Americans are twice as likely than non-Hispanic whites to be afflicted with Alzheimer’s, a deadly, debilitating disease with no cure. The rate among Hispanics is 1.5 times that of non-Hispanic whites. This session will focus on why dementia disproportionately affects African Americans, the many challenges - from caregiving to finances - faced by patients and families, what we can do to improve our brain health, and why it’s important that journalists write about this issue. Panelists: Alicia Georges, Ed.D., RN, FAAN, National Volunteer President of AARP and Professor and Chair of the Department of Nursing at Lehman College of the City University of New York; and Rawle Andrews Jr., Esq, Regional Vice President, AARP and Adjunct Professor at Howard University School of Law. Teachers are faced with so many challenges on a daily basis. During this discussion, we are asking: “what really happens inside the classroom?” Join us as black teachers discuss issues like how they are achieving greatness even in overcrowded classrooms, what special education really is, the direct effects of the lack of funding and technology, and the roles that we can all play in ensuring teachers are supported in ways that can help them be most successful. With shootings and other violence in schools and across communities, KP has launched trauma-informed care initiatives in schools to help train teachers at recognizing signs of trauma and how to guide students to care. *A limited number of passes will be distributed during the networking reception. The passes can be used anytime during the museum hours on Saturday, March 30. Share your experience on social media using #NABJEduHealth! Welcome to the online registration grant form. 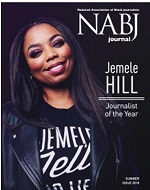 Applying for the 2019 NABJ Media Institute on Education & Health grant is now easier than ever! Click HERE to apply for the registration grant by Friday, March 29, 2019. For questions regarding your registration, please contact our registrar at membership@nabj.org or 301-405-0554 between the hours of 9 a.m. and 5 p.m. EDT, Monday – Friday. The group discount rate is no longer available. Please contact the hotel directly to discuss availability and rates.